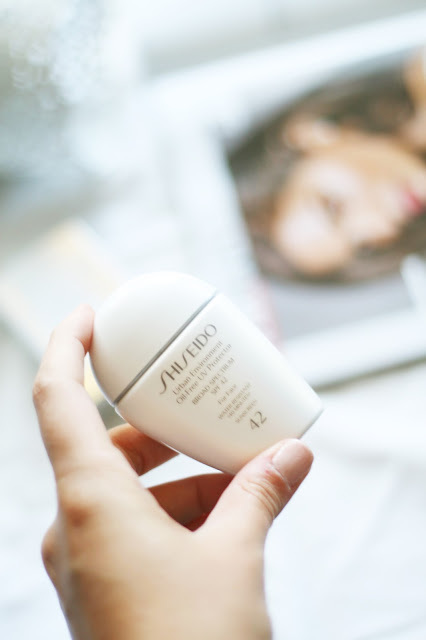 So today I am reviewing Shiseido 42 urban environment oil-free UV protector! Packaging | The packaging is sophisticated with the white and silver combo, not groundbreaking but your guaranteed this is gonna look lovely in your bathroom. As this is just for your face its a small rounded bottle which fits nicely into your handbag so you are never without some spf. 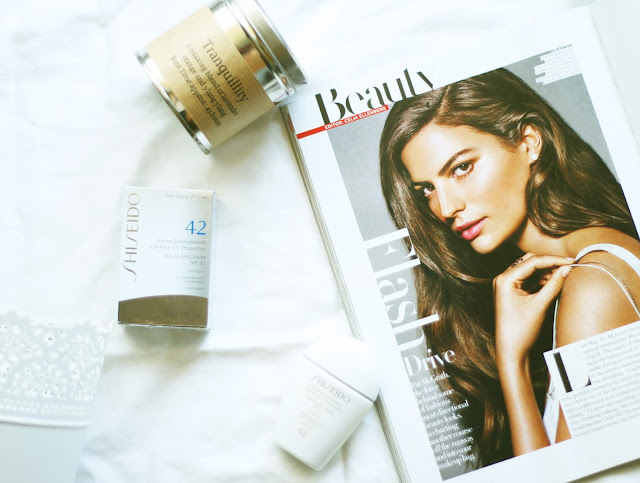 Price | For this little 30ml product its going to set you back $32, I took the plunge because I've heard so many good things about Shiseido and they are one of the oldest beauty companies in the world, so they must know what they're talking about. This is an anti-aging UV care product and it's really worth the money, when it comes to protecting yourself against sun damage you should buy quality and this product is definitely that. Product | The main reason for me purchasing this product is that I wanted a high SPF for my face that wouldn't make my oily complexion look even more shiny. I was shocked that the bottle was so small for the price but once I tried the product its actually an ultra light almost liquid formula so you only need a small amount. The product spreads smoothly over my skin and gives a pore free and most importantly a shine free finish. It has a fresh scent and is a perfect base for your foundation. I think this product is great for city life when your in and out of the sun all day and you don't have to worry about damaging your skin. What is your favourite SPF product?